Are your goods still not available online? 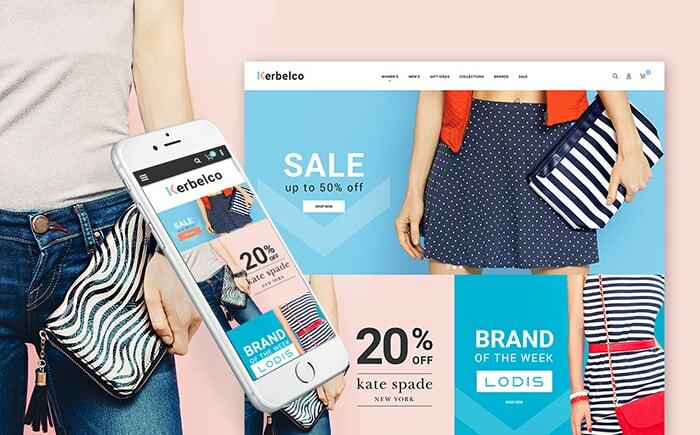 Does your store need a redesign to keep in line with modern web design trends? This spring is a perfect time to establish a strong online presence. With new website templates this can be done without lots of turmoil as modern templates are simple in setup and customization. 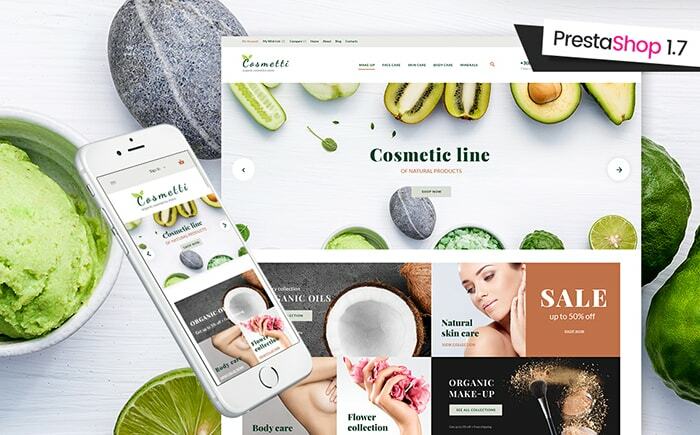 In this post, I want to share with you 20 new e-commerce templates that will help you create a beautiful online store this spring. 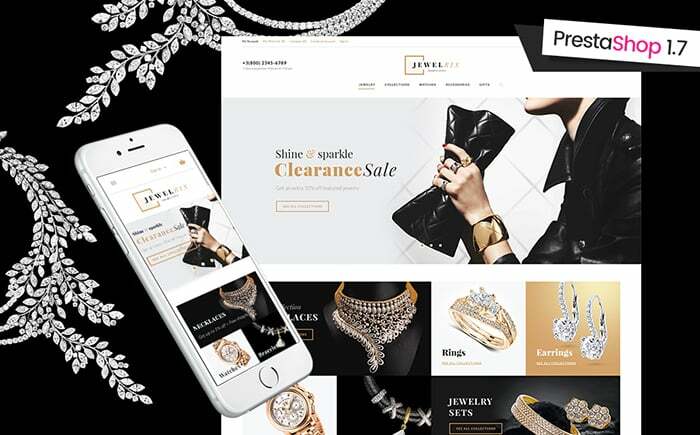 These templates reflect on modern web design trends, as well as take a perfect care of your e-store usability with multiple product filters, live Ajax product search and extended discount system. The templates that are featured in this post were skillfully developed by the team of one of the leading template providers on the market, TemplateMonster. Launched back in 2002, this company has a great deal of expertise in designing and creating templates and has produced about 70,000 templates on its way to worldwide recognition. If you are not familiar with their products, review this collection of their newly added E-commerce templates. 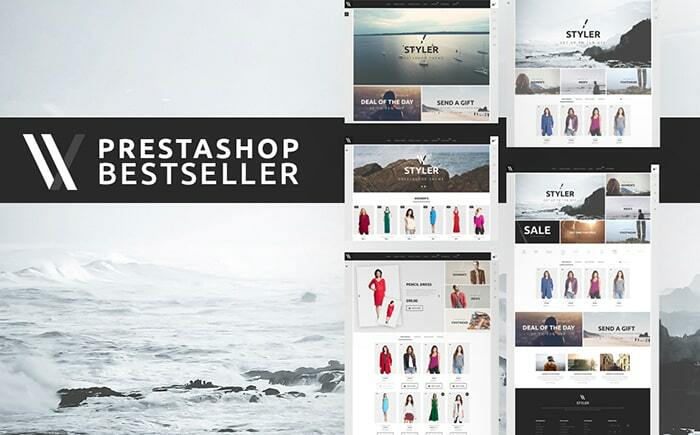 PrestaShop engine is ideal for small and medium e-stores. PrestaShop platform is fast, lightweight and easy to use. Moreover, the engine boasts of simple installation and appealing admin interface. Find more about PrestaShop here. Magento. 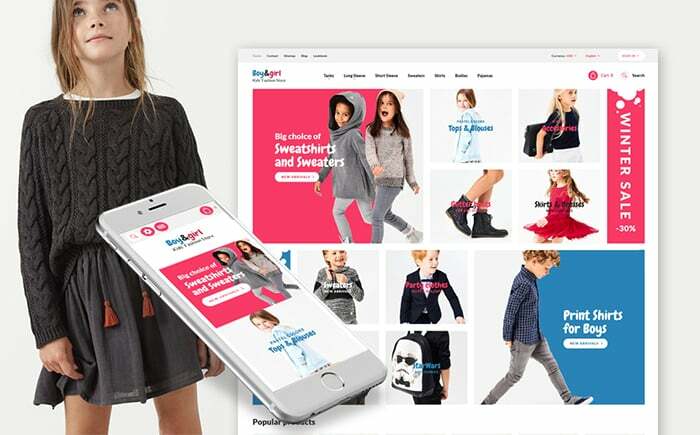 The biggest competitor of PrestaShop, Magento engine accommodates for the needs of large online stores that offer hundreds or even thousands of products. With Magento, you can run several stores on one Magento installation (the so called ‘multistore’). Moreover, Magento has, perhaps, the best SEO among all the e-commerce engines, which makes Magento a pretty attractive option. OpenCart is a lightweight platform simple in terms of installation and management. OpenCart is ideal for startups as it allows launching a shop shortly after software installation. Shopify is a very fast e-commerce engine that brings you performance at the speed of light. At the same time, Shopify takes supreme care of your customers’ security when processing operations with credit cards. WooCommerce is a comprehensive e-commerce solution for WordPress lovers. WooCommerce is a well-thought plugin for WordPress that brings you all the needed shopping cart functionality right in familiar WordPress admin panel. 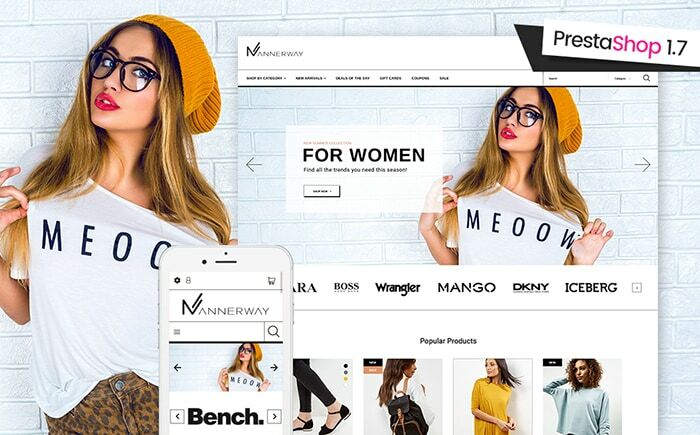 Are you ready to go shopping for a perfect template for your e-store? When scrolling down the list of the templates, don’t forget to check the ‘Details’ links to learn more about features and technical requirements of the templates. Also don’t forget to play around with templates’ Live Demos by pressing on the corresponding button. 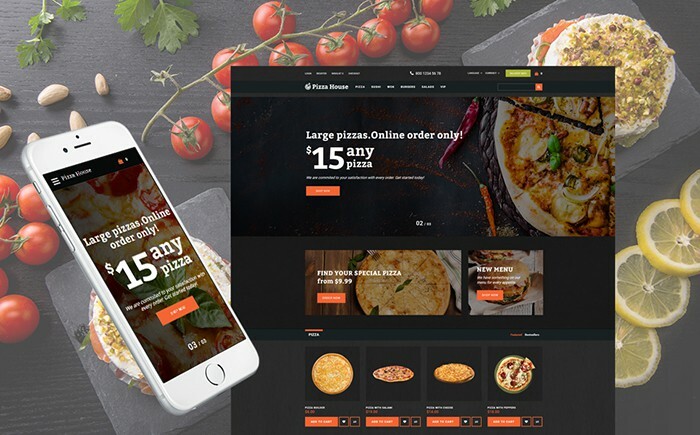 This pizza restaurant template is unique as it brings your website guests a full-blown online ordering system. Product builder on your website allows visitors to create their own pizzas with available ingredients. Delivery system allows calculating the price of the delivery and choose the delivery date and location. 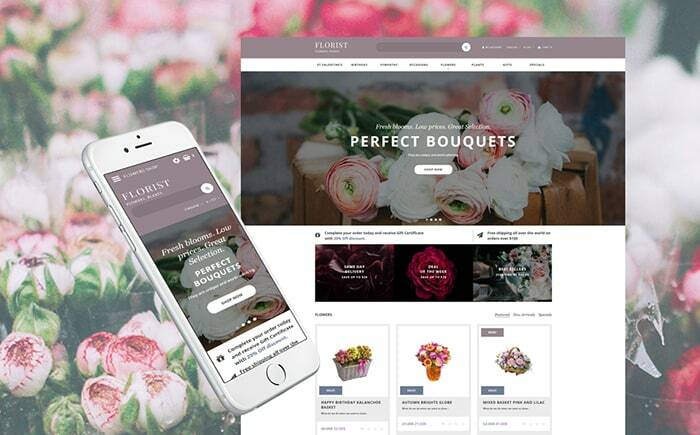 Delicate and elegant, this responsive flower shop template allows you switch between several well-though color schemes with color switcher. A slider and banners presented on top of the theme’s home page give you a chance to appealingly present your promos, new products and best offers. With Ajax cart, customers can add products to the cart and see them there without page reloading. Need a template to impress with your modern swimwear? This template with card home page design will perfectly fulfill this ambition. No matter how large your collection is, navigating your website is pleasingly simple thanks to MegaMenu that includes not only pages, but also categories, widgets and even single posts/images. Creating a fast and user-friendly e-store is as simple as that! 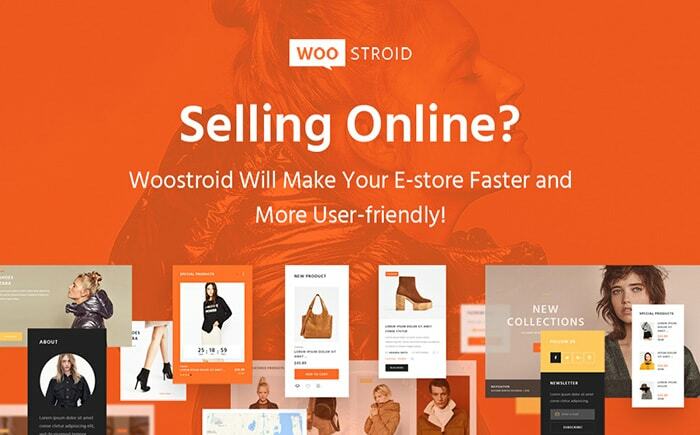 Woostroid template comes with 5 ready-made store themes for stores that sell clothes, tools, lingerie, jewelry and other goods. 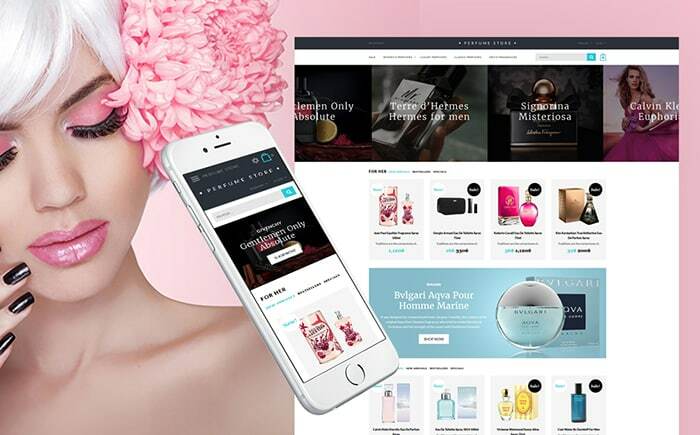 You can run the stores not only with WooCommerce, but also with Ecwid, another popular and simple e-commerce engine with a number of useful features. A fun template for children’ clothes, Little Models theme wins over the hearts of both parents and their kids. 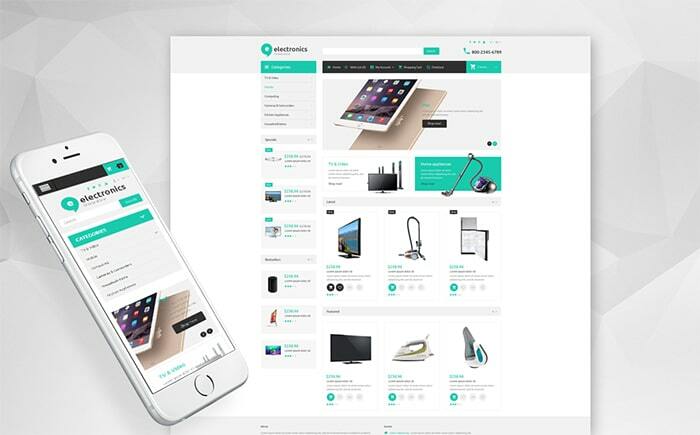 This premium PrestaShop theme is built with the help of Mega Layout Builder and includes three prebuilt layouts. The template is loaded with tons of prebuilt modules that would cost you $791 if acquired separately from the template. With this template it’s pleasant not only to receive gifts, but also to make presents to someone. 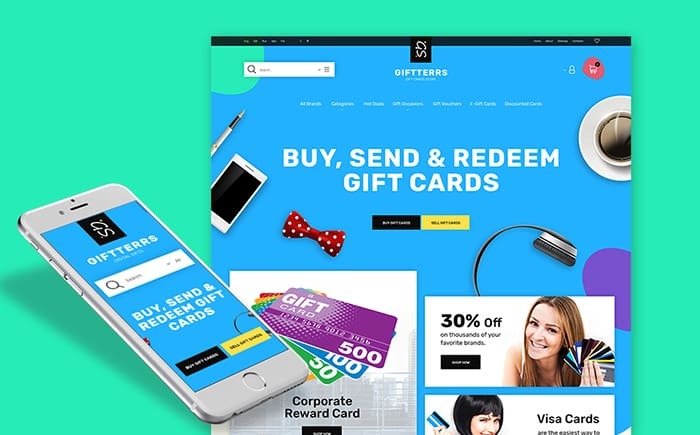 Modern flat design, upbeat colors, and 3 pre-made layouts make this template a true bounty for a gift cards shop. The template is built with the help of Mega Layout builder that allows creating home page layouts in a matter of minutes. 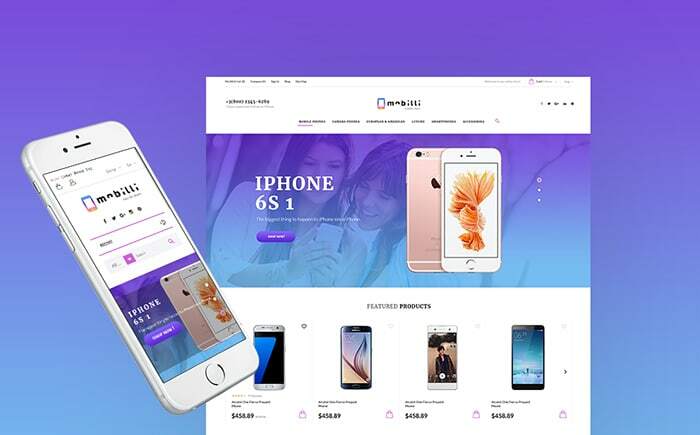 Need a modern template with rich functionality for a mobile phones/gadgets store? Mobilize is a great solution loaded with tons of functionality boosters. Trendy card design is implemented with the help of TM Mosaic Products extension. Users can quickly log in to your website using social networks, such as Facebook, Google+ or VK. This luxurious template with rich backgrounds is designed for jewelry and beauty items stores. One of the template gems is the TM Deal of the Day module, which allows you to add a sense of urgency to your featured offers. One more useful extension that helps attract attention of the audience is TM Product Slider, which is used for most appealing products’ showcase. Clean and minimalistic, this theme brings imagery to the forefront and appeals to younger audience that follows all the fades of fashion. On top of being fully responsive, the template also corresponds to the demands of Retina devices in terms of quality of the visuals. If you have a daring ambition to become one of the top handbags shops, this sweet and feature-rich template will help your ambitions turn into reality. Get more subscribers with the inbuilt newsletter popup that comes with the template. Bring your clients best product search available on the market with Ajax Search that offers matching results when clients type their queries. 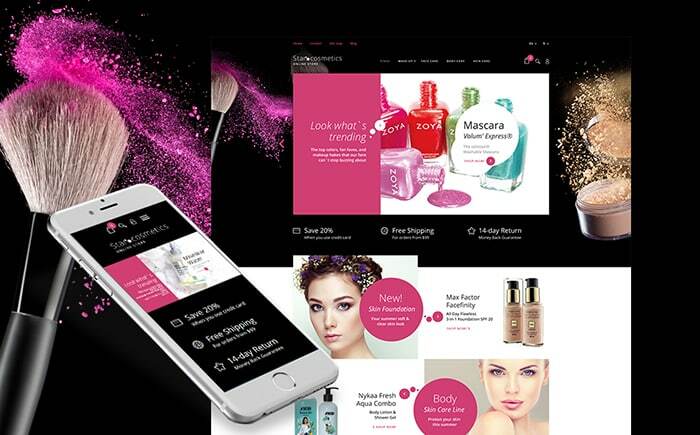 This tender and delicate template with immersive Parallax would serve as a perfect starting point for a successful cosmetics e-store. Brands functionality helps users review products by manufacturers, as long as attractive labels of established brands boost your image of a reliable store. The theme also has blog functionality, which allows you boost your SEO by frequent website updates and attract more information-hungry visitors. 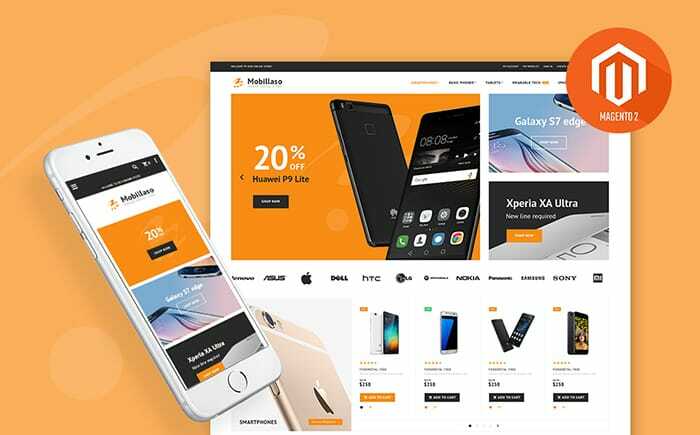 If you plan to build a rich mobile store with clear-cut catalogues and handy filtering options, this template will serve best. To boost determination of store visitors to make a purchase, the template includes a special price countdown that adds a sense of urgency to your special offers. Visitors of the store can choose between grid and list view, sort items by price and popularity and display goods in alphabetical order. Elegant e-store appeals to all women with developed sense of style. It allows you to add stunning background videos, create a comprehensive MegaMenu, and display feeds from your store pages in social networks. With the theme, you can also add configurable swatches that let your clients switch between colors, sizes and fabrics that the products is available in. The features of this template include Ajax Search, Product Quick View and Zoom, product ratings and AddThis integration, wishlists, etc. To power a live chat on your website, the theme offers you Olark Live Chat integration. Smarttronics also brings you rich background options: switch between list and grid views, change width and position of the sidebar, add custom blocks. All this is possible with this innovative electronic store theme. Motivating imagery of this extreme clothes template stirs to go for adventures and to equip oneself properly. Theme’s MegaMenu becomes a great tool for navigating among the goods you offer. With it, you can include pages, categories, subcategories to the top menu of your website. Moreover, the theme includes such features as product zoom, quick view and image pop-up, filters and sorting, informative footer, Ajax search, etc. 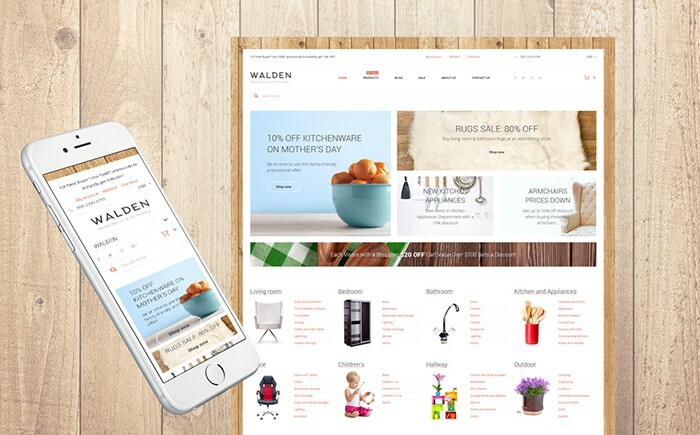 This innovative responsive PrestaShop theme offers you tons of functionality that provides for creating a top-selling website selling furniture or home décor items. The theme supports multiple languages, currencies and delivery methods that accommodate for the needs of every client. 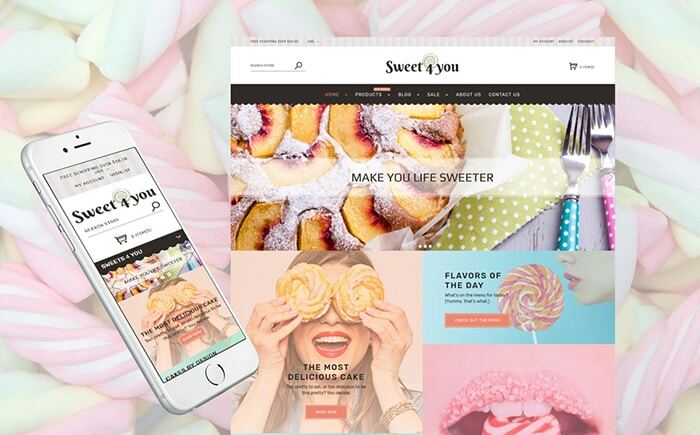 Appeal to the sweet tooth of your customers with pastel color scheme of this responsive Shopify theme. This template is Retina-ready and provides for a perfect experience on Retina-devices. The template is built with Mage Layout Builder and includes 3 prebuilt layouts that you can switch among in one click. If your cosmetics are truly healthy, this fresh and lightweight template is a great choice to share this idea. With the theme, you get a pack of prebuilt plugins that boost the functionality of your website manifold. To name just a few, these plugins are Tm Mosaic Products, Deal of the Day, TM Search, TM Header Account, etc. Decisive and feminine, this template conveys a notion of a strong, beautiful female. The template comes with three ready-made skins that are built with the help of Mega Layout Builder. You can also create your own layouts with this powerful WYSIWYG editor. 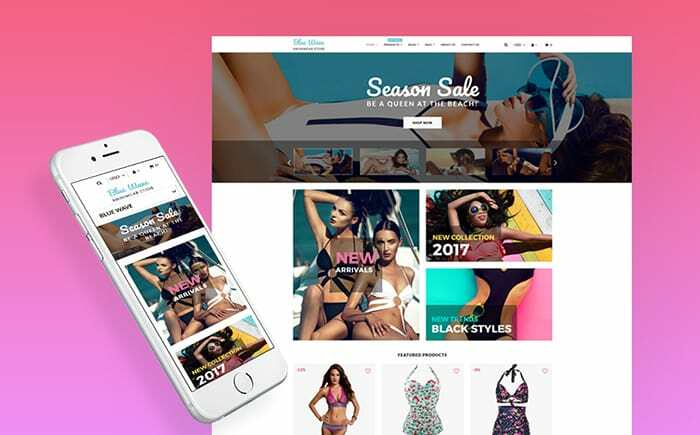 I hope you found this blast of new spring e-commerce templates not only entertaining, but also useful. Learn more about the theme you like most using the links provided and head towards high conversion rate with it! I’m happy to inform you that all the templates presented above come with 24/7 Live Support. Whenever you need a helping hand, caring team of technical support operators will be happy to address your issues online and provide with step-by-step guidance. Moreover, you can visit TemplateMonster Service Center to get some additional customization of the template done for you. If you have any questions or comments, drop a line in the Comments section below. I’ll be back with you! Extensive Mobile Store Magento 2 Template I like it. Thanks for the positive feedback, Phil! 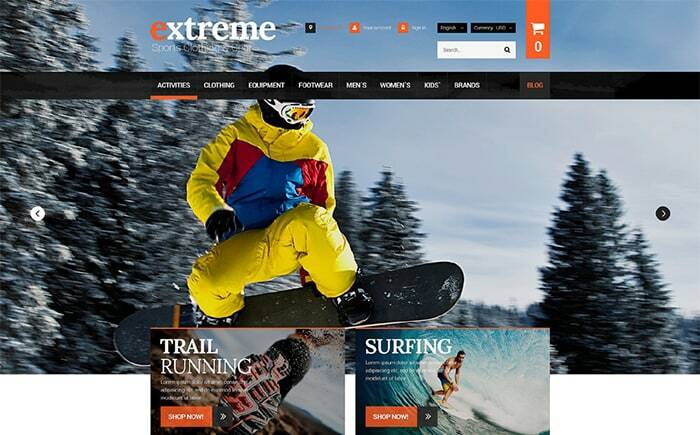 I love “Explore: Extreme Clothes & Gear PrestaShop Template”. E-commerce stores are growing like anything, yet most of them are not able to grow big. Why? because they do not care about what they are offering and the site looks, it the site optimized for the buyer and how easily someone can buy from the site. Using a perfectly eCommerce optimized template is the first thing that a webmaster needs before launching his online store. Prestashop is the big name when it comes to e-commerce templates. Thanks for sharing. I like to build one too, and I think “Woostroid” template would be perfect for my project. Those are some lovely templates to watch out for. Indeed we need a right template so that it can advertise our business very well and our clients can trust upon us. E-commerce store are now days trending lot and we need to look out something better to brand ourself in the right manner. Thanks for sharing your views here, Shantanu. What an awesome collection of themes! I had liked and tried Magento but it was too cumubersome and complicated for our needs. Shopify is our latest effort and have been impressed with what it offers. And with one of the themes that you are showing, I think our new site will be able to look quite professional now. Appreciate all the ideas from this post, thanks! Thanks for sharing your experience, Bobbi. Choosing a good theme suitable for one’s purposes eases a lot of things. All the eCommerce templates shared by you are great. I have used shopify. Building an online store can be a daunting task but a hosted eCommerce solution such as Shopify allows you to set up a mobile friendly store easily and quickly. Shopify is one of the biggest and most successful eCommerce platforms in the world . I will tweet your post. The pizza restaurant template is very eye catching, it made me look twice because I thought it’s a template for cooking wares :). I am biased on drooling on the templates for swimwear and skin care. Just looking at the templates makes me want to open an online store right now! Thanks Erik for sharing! Glad to hear you liked the ” pizza restaurant template”, Sarah. Thanks for the positive feedback, Oyedeji Olawale.